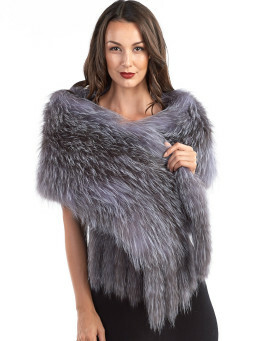 Feel festive this winter in a phenomenal Monica Cropped Rex Rabbit Fur Poncho with Fox Sleeve for women. 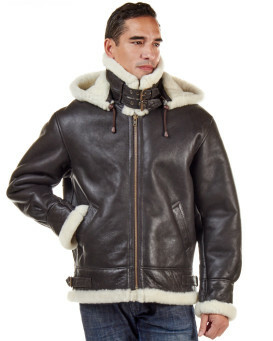 A genuine Rex rabbit fur body features zippered and removable fox fur sleeves for your comfort. A snap button under the sleeves allows you to customize the fit. The stiff cowl neck design is trendy and comfortable. A cropped cut provides a chic look. This lovely poncho would go great with any colorful or all black outfit. 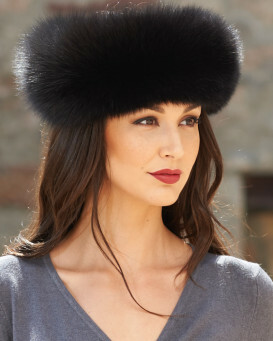 This unique design is sure to stand out in a crowd. Wear this poncho to a festive gala or a fashion party with your friends. "I just received this beautifully made poncho. However, it’s to small. I am a 38DD and 30 waist and I would need a large. If you are a small or medium top person it’s a nice fit. I will not return it because I love it! So I will make a few Alterations so that it fits beautifully. It’s worth every penny!"